Family Feud is a term used by John Power in his translation of Otake Hideo's Opening Theory Made Easy. "Weak players are likely to move out by attaching at 1, then pushing along at 3." He calls this a family feud because "White's own moves are helping Black to damage the marked stone." 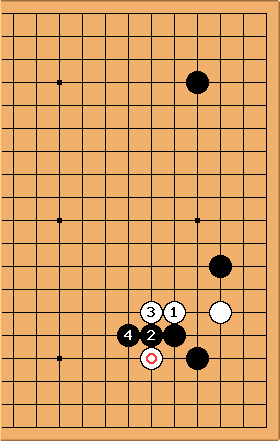 In Go Proverbs Illustrated by Segoe Kensaku, this sort of thing is called "The poor player plays the opponent's game for him".